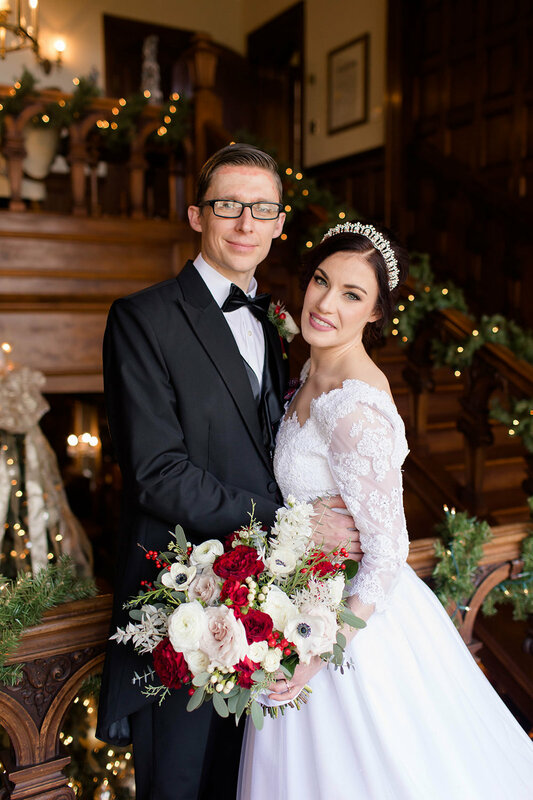 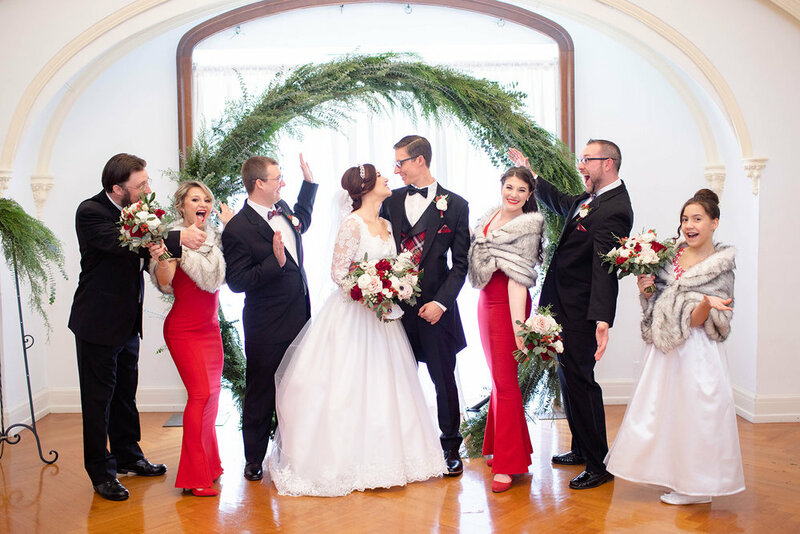 This past weekend, Laurel Hall hosted the the most beautiful and romantic Christmas wedding of Jeffrey & Kaitlin. 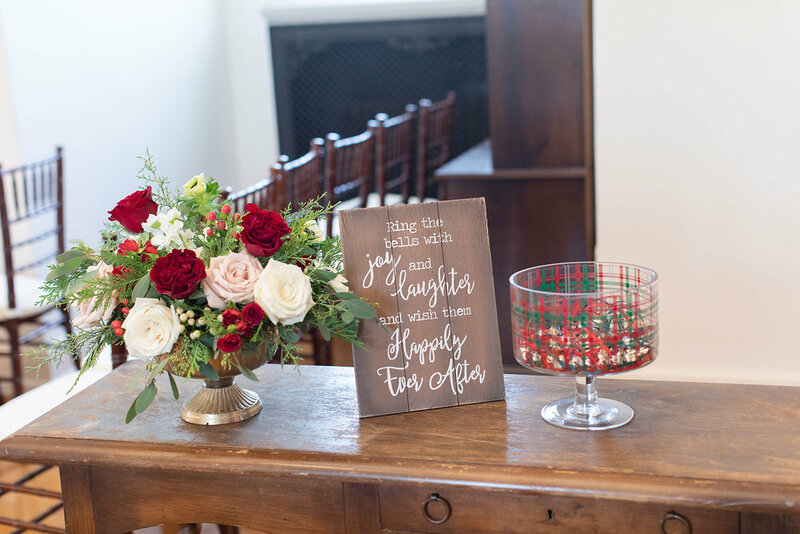 The venue lit up with twinkling lights, splashes of red and beautiful florals by Bella Sorella. 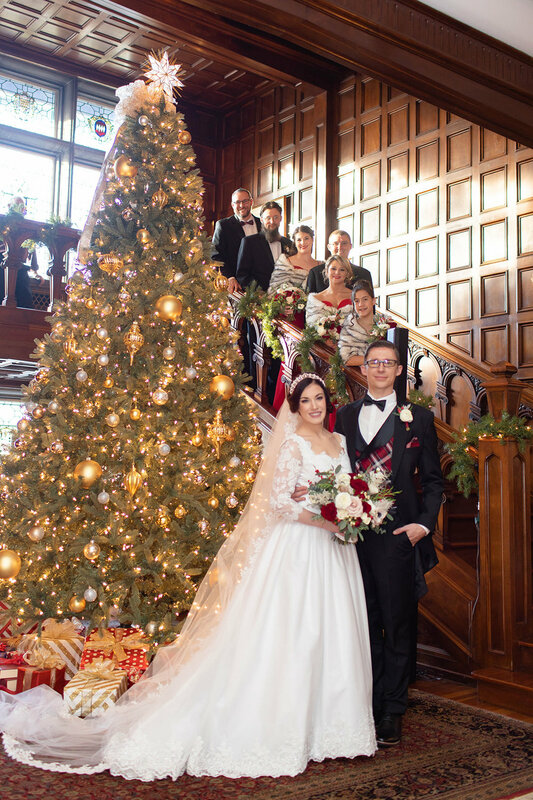 Laurel Hall is magnificent itself, but the wow factor at Christmas-time is breath-taking!